The Celtics have overcome a long list of obstacles during their streak - can they do it again tonight? I know this sounds obvious, but the Golden State Warriors will put Boston's win streak to the ultimate test tonight. The reason why it's not that obvious, though, is because the Celtics have overcome a long list of obstacles that, if it weren't for the new 280 characters, would be too long for a standard tweet. Considering this, it is not as obvious that the Warriors are the toughest challenge for the Celtics yet. Yes, they are the best team they have played yet (or will play this year). But the Celtics aren't facing injuries to Irving or Horford, and (hopefully) won't be facing an 18-point deficit like they have many times throughout this historic winning streak. That being said, the superteam Warriors will still be the toughest task at hand for this Celtics roster. Even though the game is on their home soil, the Warriors are the next hottest team and riding a seven-game win streak of their own. I don't need to tell you how good the talent is in their starting five, and I don't need to tell you about their two championships over the last three years. It will take a lot to fend off Steph Curry, Kevin Durant, and the rest of Golden State's firing squad. Stevens portrays how the Warriors present their toughest challenge when he talks about the slim margin of error. The Celtics have survived a lot of mental lapses during this streak, but if they have one tonight, it will be extremely tough to come back from. In addition, this matchup is a clash of the No. 1 defense and the No. 1 offense, so we'll see which is a bigger force tonight. Is Boston's defense legit? Draymond Green and Horford have both been tremendous defenders, so may virtually cancel each other out. 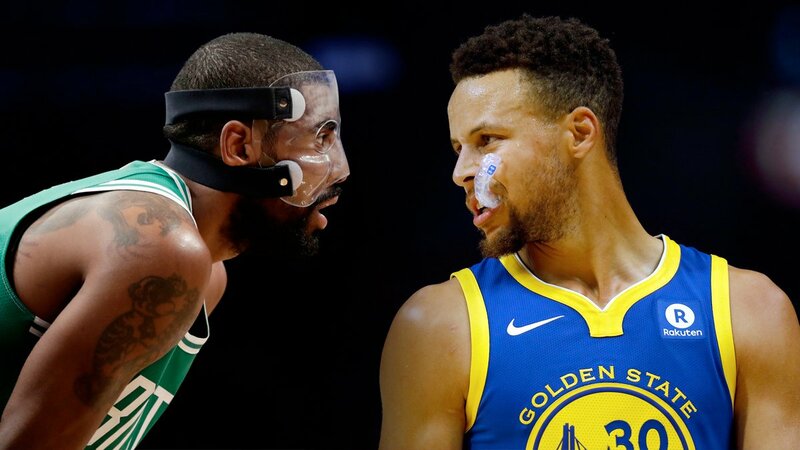 Steph and Kyrie are such similar offensive players, but Kyrie's improved defense could perhaps make a difference in the star point guard battle. However, I think it really comes down to the two young Celtics stars. Jaylen Brown and Jayson Tatum draw matchups with two of the most efficient scorers and best two-way players in the league in Klay Thompson and Kevin Durant. Brown has been exceptional on the defensive end and Tatum has been holding his ground very well with his elite length and athleticism. However, will the 21 and 19-year-old wing players be able to slow down Thompson and Durant? To me, that is the critical question going into the highly anticipated contest.